How do you like the sound with the muffler delete? It makes a big difference with the car. I'm thinking about going back to a single exit on mine, but the dual exhaust just looks so much better. It sounds great, especially at the higher RPMs. You get that throaty sound with a few puffs/pops here and there... but nothing extreme or wildly excessive. Cold starts can be loud but once it idles at normal operating temperature, it's similar to the Abarth. In regards to the dual exhaust look, I was never into "dual exhausts" on 4 cylinders and I enjoy keeping the stock look. 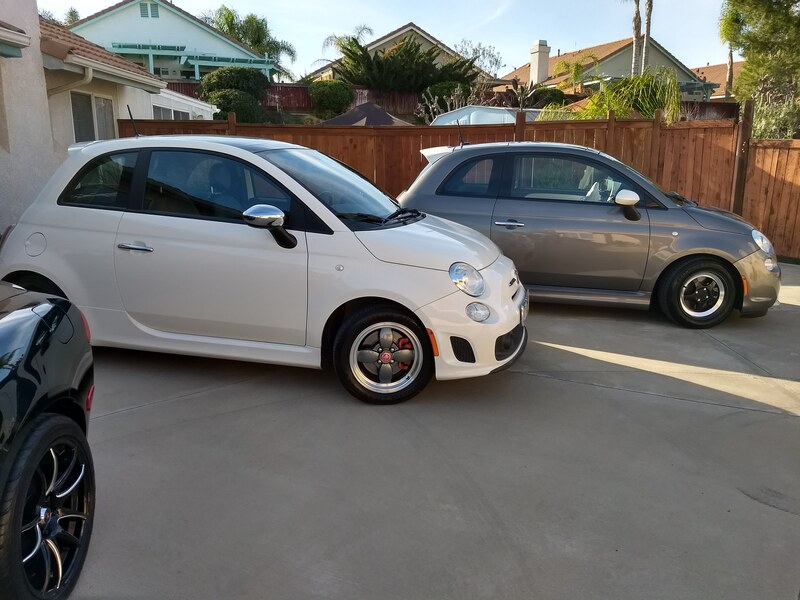 I'd also like to get the factory spare tire bracket someday (I commute a lot) and I've read the factory spare tire bracket doesn't fit Abarth's because of the dual exhaust. How did you decide on H&R Sport Springs as opposed to, say, the Neu-F springs? My driveway really decided that for me. As it is, I have to put bricks at the end so I don't scrape. Another factor was that the H&R helped to level the car some without it being to dramatic of a drop. Putting in the Energy Suspension isolators helped level out the car. I ended up going with two sets, top and bottom, to give it the look I wanted. Ultimately, it was the leveled look I was going for.